The vehicles that carry citizens into space will be unlike the throwaway rockets that carried astronauts to the Moon or the Space Shuttle that carried astronauts to the International Space Station. These new vehicles will be true spacecraft: fully reusable, capable of traveling repeatedly into space and returning to Earth without throwing away expensive hardware, requiring little more than refueling to be ready for the next flight. Such vehicles are being developed by private companies right now. The first commercial test vehicle, SpaceShip One, flew in 2004, becoming the first private spacecraft to carry humans into space and winning the $10 million Ansari X-Prize by flying into space twice within a period of less than two weeks. SpaceShip One was a proof of concept, which sparked a race to build follow-on vehicles for paying customers. 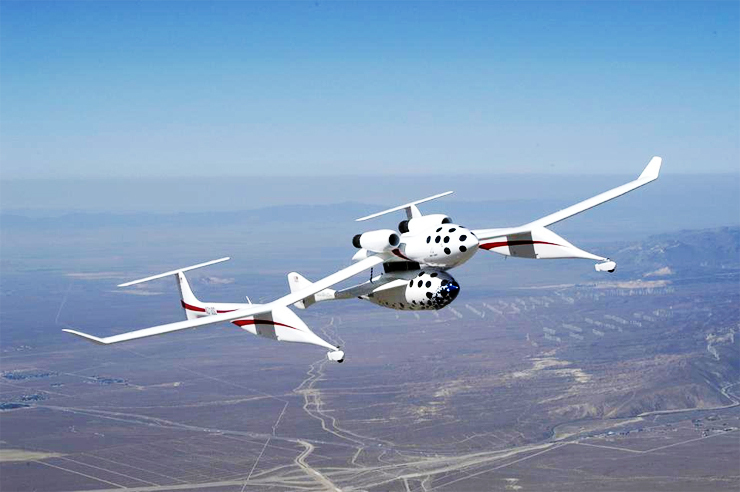 Scaled Composites is now building a larger version, called SpaceShip Two, that will be operated by Virgin Galactic, a new division of billionaire Richard Branson’s Virgin Group. Other companies are developing their own designs; competitors include Armadillo Aerospace, Blue Origin, Masten Space Systems, Sierra Nevada, and XCOR Aerospace. There is even an international race, with the Russian Myasischev Design Bureau and European aerospace firm EADS Astrium working on vehicles. Some companies are working on orbital vehicles to carry crew and visitors to the International Space Station, but the vehicles most people fly on will be suborbital spacecraft like SpaceShip One. These vehicles do not travel fast enough to reach orbit but travel to the edge of space, experience a few minutes of weightlessness and exoatmospheric flight, then return to Earth. Because of their lower energy requirements, suborbital vehicles can be smaller and easier to develop. Suborbital vehicles do not require new technology. The United States Air Force built and flew a suborbital vehicle called the X-15 in the 1960’s, but government policy at the time said that manned spaceflight was the exclusive province of NASA so the Air Force was not allowed to pursue further developments. 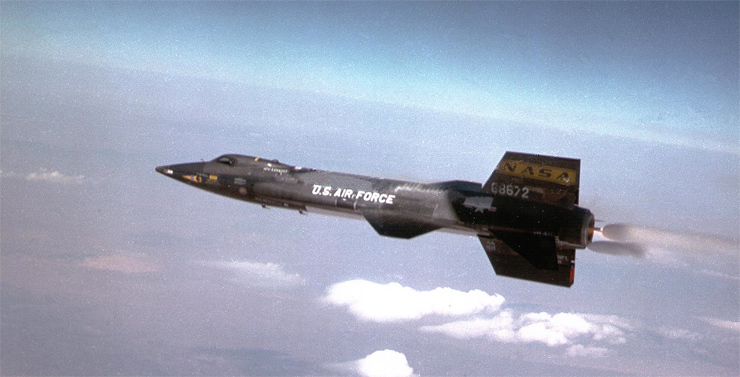 The North American X-15 flew successfully from 1959 to 1970. Suborbital spacecraft are to orbital vehicles as microcomputers are to mainframe computers. By dramatically reducing costs, they will revolutionize space travel and open the space frontier to the American people, just as microcomputers opened computing to the American people.